Quitting drugs and alcohol is possibly the best thing you can do for your health. Accidental death, which includes overdose, is one of the leading causes of mortality in younger people and chronic substance use can lead to serious health problems later in life. However, many people let other bad habits creep in during recovery. Not only are these bad habits unhealthy in themselves, but they can actually reduce your chances of success in recovery. These bad habits are often transfer addictions and they may indicate you still have some issues you need to resolve if you want your recovery to last. Here are some unhealthy habits that often begin or continue during addiction recovery. Smoking is common among people with substance use disorders and it is also common among people recovering from substance use disorders. Studies show that while only about 14 percent of Americans smoke, nearly 60 percent of AA members smoke. Most say they smoke to reduce symptoms of anxiety, depression, and irritability. This suggests many smokers may have co-occurring conditions that require treatment. Quitting smoking is associated with a lower risk of relapse. One study found that about 11 percent of smokers relapsed within three years, but people who started recovery as smokers and quit only had an eight percent chance of relapse. Perhaps most importantly, smoking is extremely bad for you. While opioids kill about 50,000 Americans a year and alcohol kills about 88,000 Americans a year, smoking kills about 480,000 Americans every year. It’s very common for people in recovery to develop a sweet tooth, especially people recovering from alcohol use disorder. Sweets are a high reward food that affect the release of dopamine, which relieves some of the lethargy and irritability people commonly experience in recovery. People with alcohol use disorder typically have chronically low blood sugar, which can cause lethargy, headaches, confusion, poor concentration, and irritability. Sweets temporarily fix the problem, but they lead to a boom and bust blood sugar cycle. Increased sugar intake often leads to weight gain, which increases your risk of other problems, such as diabetes and heart disease. In moderate doses, coffee is fine for most people and some studies suggest it has some moderate health benefits. However, too much coffee can make you jittery, anxious, and interfere with sleep. If you’re recovering from addiction, you are already likely to feel anxious and irritable and coffee may make it even worse. The impaired sleep is probably the worst effect, since your body needs plenty of sleep to heal and recover. Lack of sleep has also been linked to increased anxiety and suicidal thoughts. 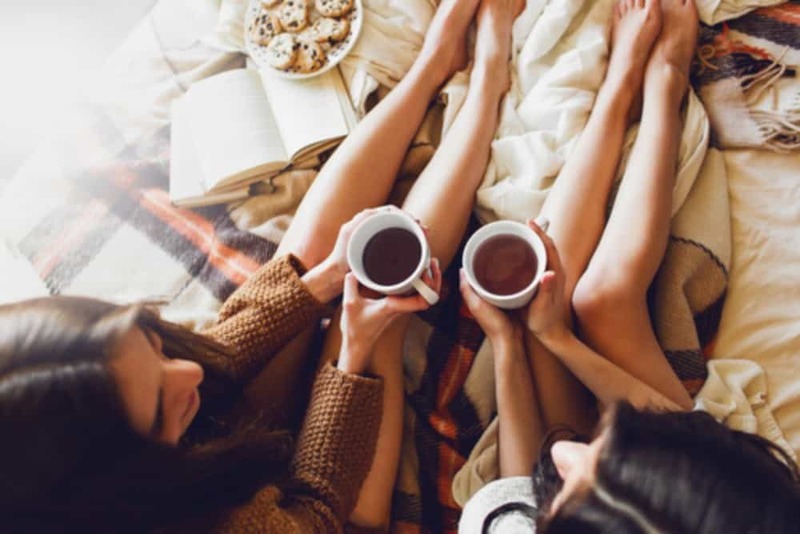 Coffee is certainly the least unhealthy habit on this list, but if you’re experiencing anxiety, irritability, or insomnia, cutting down or eliminating coffee is probably a good idea.